This proposal is for a new residential subdivision on 32 acres of land south of Pinnacle Club Drive, east of Buckeye Parkway. The proposed development will contain 73 single family lots and 6.7 acres of open space. 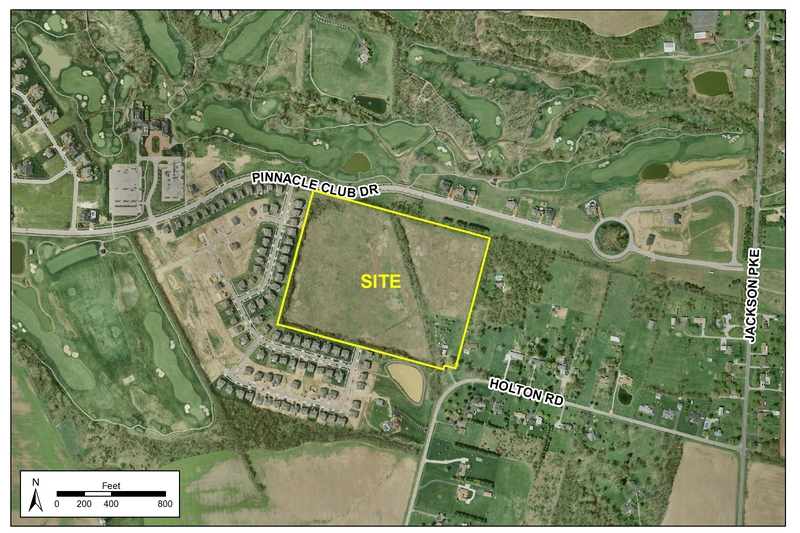 Lot sizes and development standards are proposed to match the adjacent lots in “The Links” and “The Estates” of The Pinnacle Club. Access to the development is proposed off an extension of Calum Way.